The Texas Water Safari is one of the greatest personal adventures I have ever experienced. When my son Jonathan invited me to do this grueling 260-mile ultra-marathon canoe race with him in 2012, I seized the opportunity. And I am so glad that I did. Sharing this adventure with Jonathan and my daughter Niki, our team captain, will always be at the top of my list of great adventures. 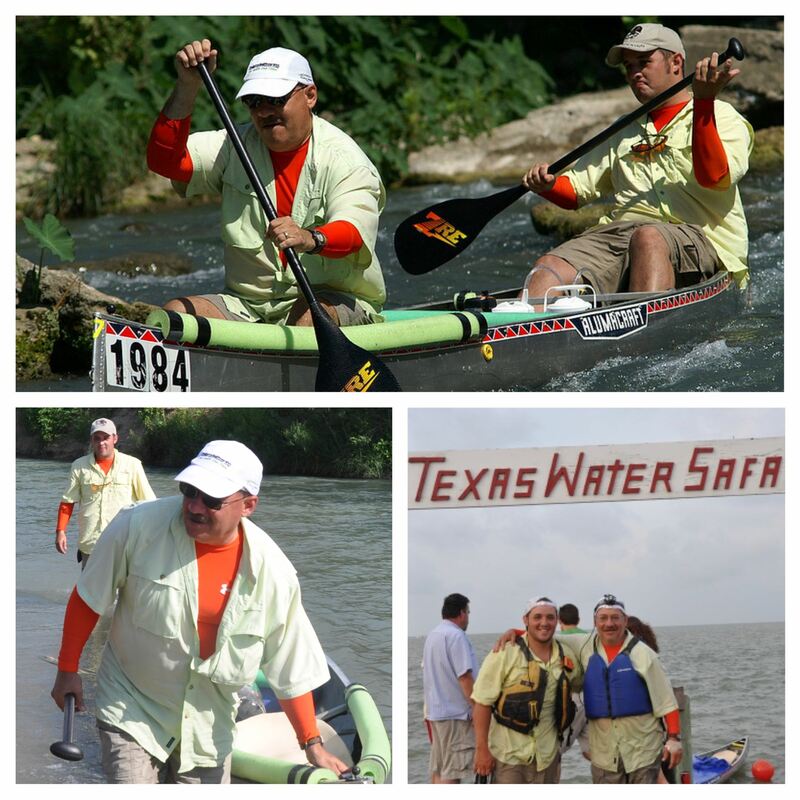 Competing in the 2012 Texas Water Safari is, without a doubt, the hardest thing I have ever done. Reaching the finish line with Jonathan in 2012 was surreal — an amazing experience for me. I knew that I had to do this race again. My goal was to race again in 2013 and to reach the finish line alive. Jonathan’s goal was to get a faster time. So, Jonathan found a faster paddling partner and encouraged me to do the race with my friend Doyle. Jonathan finished almost 12 hours faster with his new partner and Doyle and I reached the finish line alive. With Jonathan’s wedding looming large on the horizon in 2014, we took a hiatus from the race — but talked all year about getting back on the river in 2015. Jonathan and Ben, the best man at his wedding and a multi-safari finisher, are ready to race again this year. Doyle and I have also looked forward to doing the safari this year. All of us have spent lots of time training on the river and competed in the Texas River Marathon, the prelim race, last month. The recent floods in Central Texas added an unexpected dynamic to this year’s water safari. Record setting rain resulted in rivers overflowing their banks and destroying property and lives. To date, the bodies of two children who were swept away by flood waters have not been recovered. The Texas Water Safari board made the responsible decision to postpone the race from June 13 to June 27. However, because of additional rains and sections of the race course at flood stage, there has been a buzz in the paddling community that the race might be postponed a second time. Yesterday evening, the Texas Water Safari Board announced that the race will be postponed until July 11 — only the second time in the Safari’s 53 years that river conditions have required that the race be postponed twice. Sadly, this second postponement means that Doyle and I will be unable to compete in this year’s safari. I am leading a team to work with Syrian refugees in Jordan in July and Doyle will be out of the state. So, because of these previous commitments, we have had to withdraw from the race. To say that I am bummed would be an understatement. I was hoping to get a third safari finish to close out my fifties. But, my daughter Niki reminded me that finishing the safari in 2016 will be a great way to start my sixties. I agree. Thanks to all of you who have followed our training journey and who have offered us words of encouragement along the way. And thanks to all of you who joined us in donating funds to help the Generation One Academy. These funds will do a lot of good in the lives of inner city kids. Doyle and I are disappointed that we cannot race this year but not discouraged. Every training run was an adventure and nothing was wasted. We are stronger paddlers as a result and look forward to racing another day. I applaud the Texas Water Safari Board for their wise stewardship of the race and for making the tough call to postpone the race a second time. Their decision will help to better ensure the safety of participants and uphold the integrity of the world’s toughest canoe race. 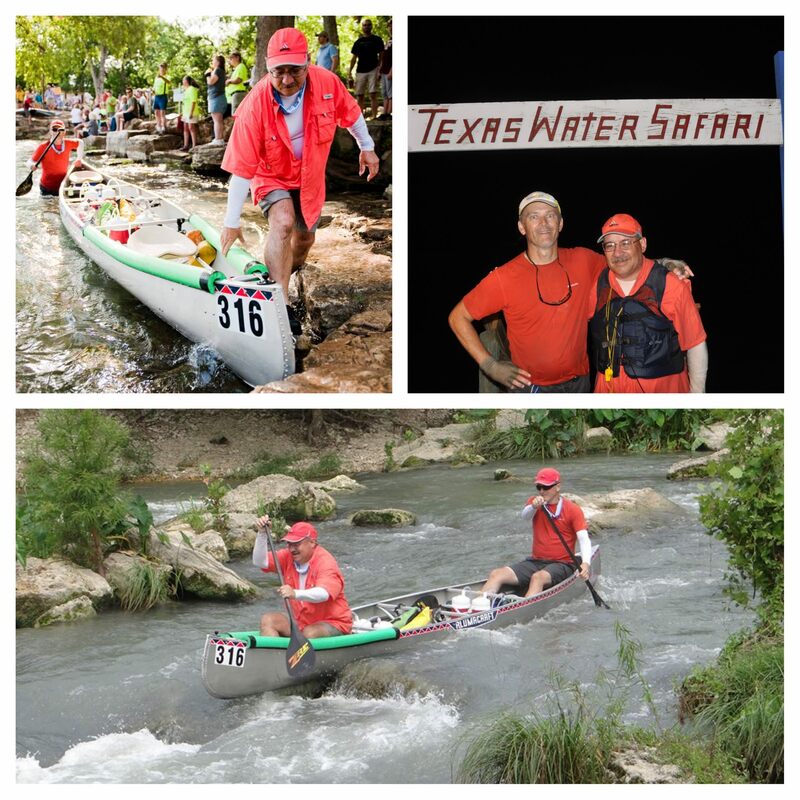 I am grateful to be a part of the Texas paddling community and to be a Texas Water Safari finisher. I too was looking forward to my two pastors “Adventure” on the water safari this summer. I think Nikki has it right…..perfect way to begin your 60’s! Happy to know you both will be exactly where God has planned. Thanks, Mechele. We will race another day. Appreciate your friendship and encouragement. We love reading your posts Ps. Omar! We get so much positive energy from them. Your life is an inspiration.Thank you for sharing. Thanks, Pastor Robert. I appreciate your friendship and readership. Regards to Rose and the church family there in Uganda. It was a pleasure getting to train with you and Doyle. I’m sorry that you will miss the race this year, but I admire you’re positivity. There will always be another year! Thanks, Melissa. We enjoyed training with you. Doyle and I will be following you on SpotTracker. We know you will do well. Stay safe as you paddle.